Bhubaneswar: New Holland Agriculture, one of the world’s leading agriculture equipment brand,is exhibiting a selection of its extensive range of tractorsat the Krushi Odisha 2018 atBijupattnaik Ground, Baramunda, Bhubaneswar.The display at Company’s stall includes the very popular 3230 & 4710-4WDtractor models, along withNew Holland Excel 6010 tractor mounted on a TOT combine harvester, which are best-suited for farming conditions in Odisha.The center of attraction, however, is the new Excel 4710 tractor, which will soon be launched in the state. Mr. Naveen Singh (Zonal Sales Head–East), Mr. Sutanu Pratihari (Regional Sales Manager)and other company officials are educating the farmers about the benefits of mechanized farming and the technological leadership New Holland Agriculture holds in this area. 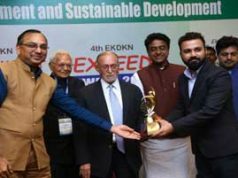 Speaking on the occasion, Mr. Naveen Singh said “Standing true to our commitment, we continue to offer technologically most advanced farm mechanization solutions to Indian farmers. The new Excel 4710 offers an unmatched combination of excellent power, fuel efficiency, comfort & styling, along with the quality & superior technology that New Holland Agriculture stands for”. New Holland Excel 4710 offers the highest useful tractor power with additional PTO power of 4.5 HP compared to any other tractor in its category. Powered by a 47 HP engine,the tractor is equipped with several industry-first features such as ‘Eptraa PTO with Independent Clutch’&‘Quadra Air Flow technology’. 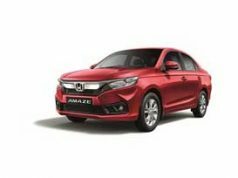 It also offerssome advanced options like 4WD, Forward-Reverse Synchro Shuttle, Planetary Drive, Lift-O-Matic, Auxiliary Hydraulic Valve, and Canopy with ROPS. All these features make Excel 4710 the most compatible tractor for all the existing and futuristic agricultural applications such as Baler, Pneumatic planter, Reversible MB Plough etc. 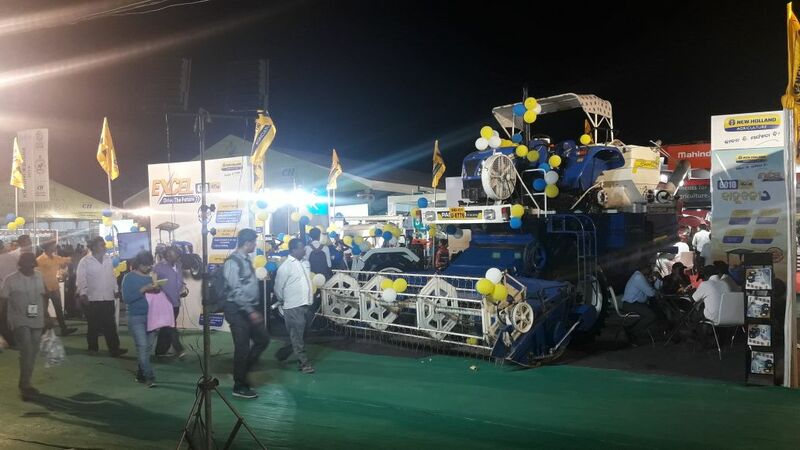 Among the other tractors displayed is New Holland 3230, it is one of the most popular tractors in Odisha owing to its extremely powerful engine in 45 HP category. Excellent fuel efficiency,double clutch, and high-precision hydraulics makeit the best-suited tractor for applications such as Haulage, Rotavator, and Plough etc. The 47HP New Holland 4710, on the other hand, comes with the option of High-Lug tyres, which negate the need of cage-wheels for shallow puddling. It is equipped with 16-speed (8F+8R) synchro-shuttle gearto move the tractor forward or backwards in any gear. The Excel 6010 comes with a powerful & fuel-efficient 60HP engine, heavy duty 12+12 speed gearbox with synchro-shuttle, and reverse PTO, making it the best-fit for TOT combines. Odisha is an agrarian state with more than 60 percent of the population depending on agriculture for income. Agriculture is a major indicator of the state’s economic status. Odisha contributes one-tenth of the rice production in India and stands fourth in the production of jute in the country.Government of Odisha and Confederation of India Industry (CII) havejointly organizedthis 4-day exhibitions with the objective to showcase the prowess of the farming and agriculture industry in the state and highlight the investment opportunities the sector. New Holland Agriculture has been contributing to thegrowthof mechanized farming in the state with its technologically superior tractors & implements and thereby enhancing farming efficiency, productivity & farmers’ prosperity. New Holland Agriculture also operates a Training Center in Bhubaneshwar in collaboration with the Government of Odisha, where ittrains farmers, students, and unemployed youth, thereby creating a pool of professionals skilled for agriculture sector. Currently, Odisha has a tractor market of around 21,000 tractors per year with more than 6,000 New Holland tractors in operation in the state presently. The company is growing its reach to every farmer with an ever-expanding network of more than 35 Customer Touch Points in the state. Company has also established a dedicated customer helpline with Toll-free number 1800-419-0124 to support the farmer fraternity, which operates in 6 regional languages apart from Hindi and English.